You must make reservations at least 5 minutes in advance of the time at Barone's Restaurant. 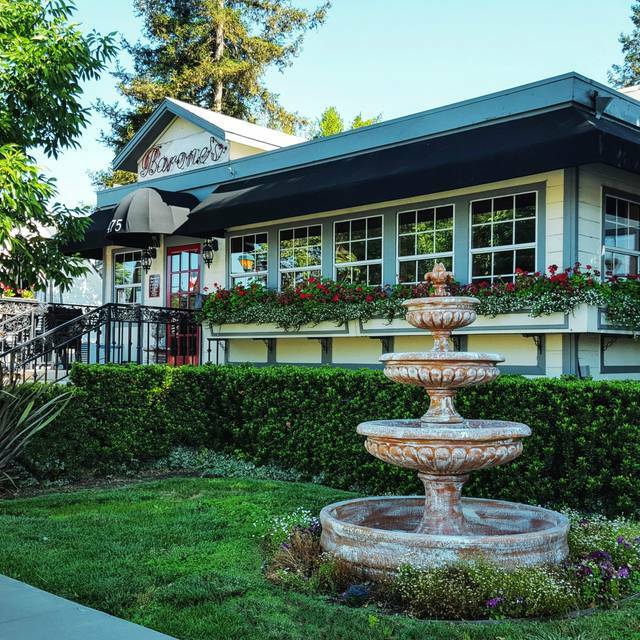 Established in March 1995, Barone’s is a fine dining restaurant located in the heart of downtown Pleasanton. Featuring a fusion of flavors from different regions of the world, we strive to deliver unique continental cuisine paired with attentive service in providing a fine dining experience for our guests. Combining traditional favorites with innovative technique, we pride ourselves in using only the finest and freshest ingredients available. 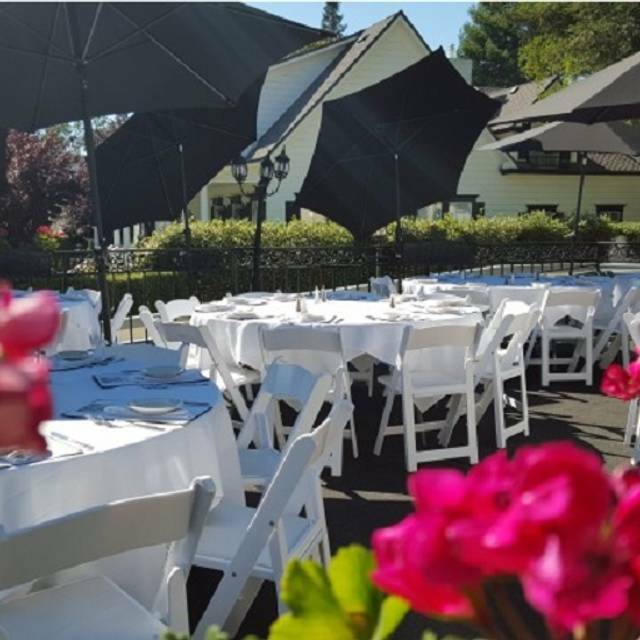 Our beautiful venue is also an ideal venue for private dining events, rehearsal dinners, corporate gatherings, weddings and all of life's celebrations in between! I was celebrating a friend's B.Day so we had dinner and stayed afterwards for the music. From the moment I walked in, till the moment I left, the evening was great! The hostess was very accommodating and helpful! The food was absolutely delicious and Carlos, our waiter, was superb - attentive and very personable! The music in the bar was great - loved, loved, loved it!! The bartender staff were also attentive and friendly - excellent service!! It was a wonderful B.Day celebration all the way around!! Grandparents were visiting and I immediately thought of Barone’s for dinner. The dining room is lovely and yet comfortable for a nice family dinner. We all enjoyed the appetizers and entrees completely. Excellent service. Our waiter was very attentive. My friend and I had appetizers and wine for dinner and it was perfect. We had our anniversary dinner here - it was wonderful! Everything - the menu had great choices, the food was delicious, the service was great, they congratulated us on our anniversary, the restaurant is intimate, elegant & lovely. It is convenient off Pleasanton's Main Street - we enjoyed a walk on Main St. after dinner. 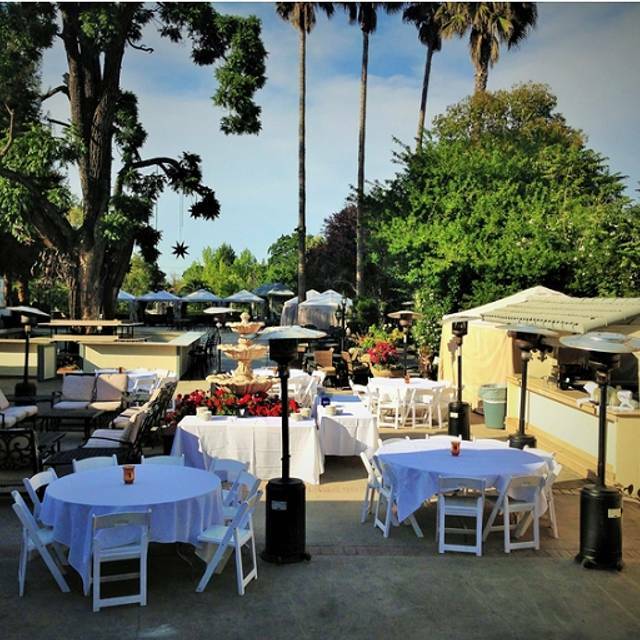 It is a perfect place to celebrate a special event. Asked for my fillet to be med-well and it was blood red. Calamari was over cooked too. And $50 for a bottle of Wente Riva Ranch? It’s $12 at the store! Beginning with Carlo our server who made us feel at home. His knowledge of both bar and dinner menus was excellent. Then came drinks, best Manhattan ever. Dinner followed and met all expectations. Clams were fantastic as was the filet mignon and shrimp special. We were visiting family and will defend return to Barone’s on our next trip. Great experience as they do everything well & have a great singer in on Friday & Saturday nights! The service was incredible and the food was absolutely delicious. From the starters to dinner our server was attentive and the food came out hot and on Point! Excellent. One of our favorite restaurants. Great spot for a night out. Food is good, ambience is nice and service excellent! We keep coming back.... well, that's a review. We keep coming back.... well, that's a review. We keep coming back.... well, that's a review. 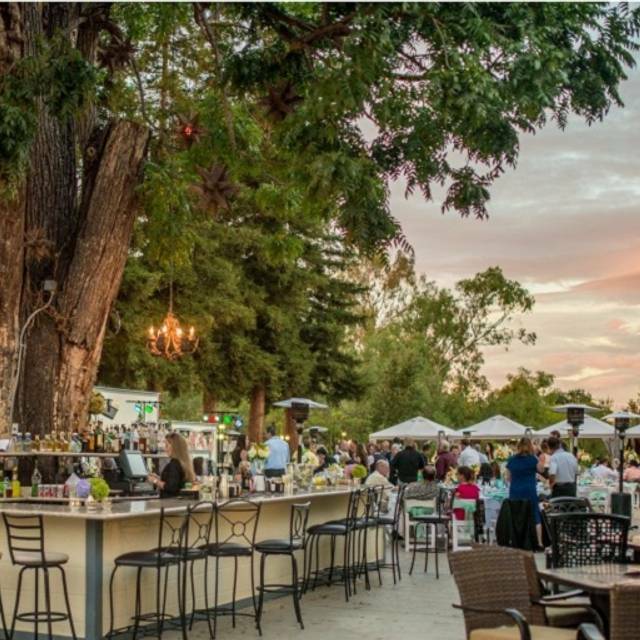 This was not our first visit to Barone's...we used to go there often ('80s-'90s) when a relative was in Pleasanton and she liked it there....as well as other venues in Pleasanton. This visit was the first in years for us. Our waiter Gabriel was excellent, pleasant, helpful. We were lucky because it can get very noisy there...but there weren't enough customers this 'off-peak' evening (with terrible storms outside) to create the noise. The food was prepared perfectly (swordfish for one, and Blackened Scallops for the other; and we shared a Spring Mix salad). 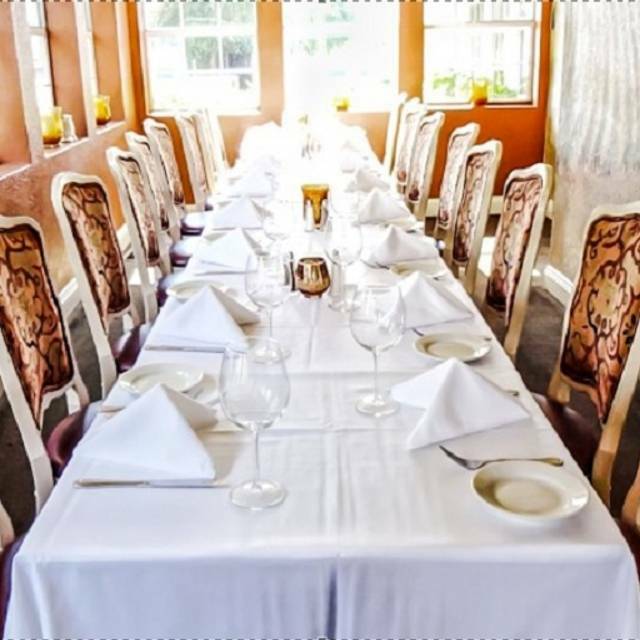 Barone's is a restaurant we love to visit to celebrate special occasions. We always feel welcome and the service is first rate. The food is always delicious and we are never rushed. Best food in Pleasanton. I always love everything I order. It is quiet for the most part unless the bar area is full. My only tiff is the wine prices. They have a lot of local wines which is great but the cost is a bit too high. 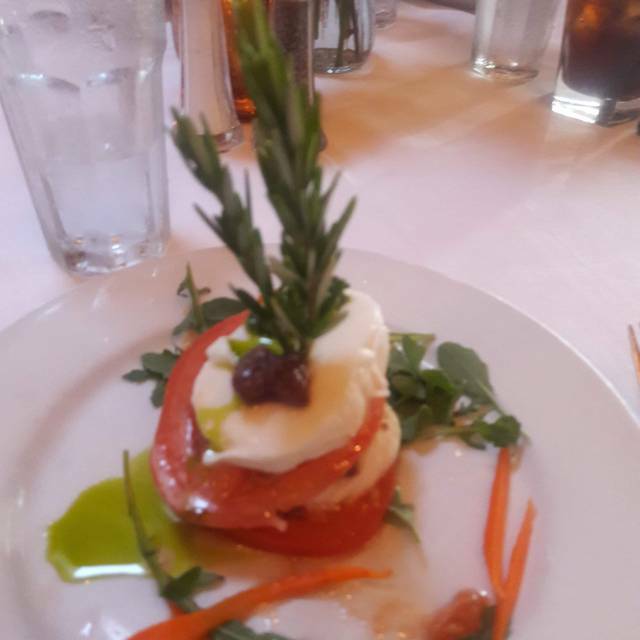 Barone's is a bit inconsistent, we've had very good as well as unremarkable experiences there. This time the food was nothing special, certainly not worth the fine dining prices we paid. Service was no better than adequate. We did have an excellent dessert (the almond cake). I'm not sure I would try it again soon. The staff always takes good care of us. We come because we always like the food. We have never been disappointed. When ordering, if it isn't on the menu, they do their best to accommodate our requests. Terrific blackend Scallops, smooth as butter in your mouth. Was greeted warmly and taken care of very quickly as we came through the door. Nice warm atmosphere. Romantic booth. Great service. Great food. Had the swordfish and the salmon very very good. We were very disappointed with the food. It all lacked flavor. Everything seemed to be just tasteless. The service was excellent but that does not make up for a poor dining experience. The restaurant seems very dated....somewhere you would take your grandmother. We received excellent service from our waiter Carlos. The food was very good. We enjoyed the ambiance. Great food. Great service. Great atmosphere. Absolutely loved the experience. A place to impress the lady you love. We were 5 people dining . . . us, our daughter and son in law and my mother in law. For the table we ordered carpaccio which was good but everyone said the topping or sauce was kind of sweet. My salad was delicious. My mother in law ordered the braised short ribs over polenta which she found very salty, my son in law had the spaghettini which he found very sweet, my husband had the scallops and he said all were good but one. I had chicken marsala which was fine. Nothing outstanding but nothing bad. We ordered 2 desserts . . . I forgot the first one but the 2nd was the tiramisu which should have been served in a cocktail glass. There was so much liquor on it that you couldn't taste the dessert . . . it was all alcohol. We only come here once in a while. I am not a fan but my husband is. Not sure if or when we'll be back. Went for my birthday. Arrived a little early, the greeting felt very welcoming, and they sat us right away. I chose the special, mushroom ravioli & filet mignon, which was very delicious. They brought a lemon tart with a candle in it, very special. The staff was very attentive. Food as always is delish! The service was outstanding. Just totally enjoy Barone’s, staff are like family. Always a treat to eat at Barone's. Top drawer service and food. Our company lunch at Barone's could not have been better! Our waitress Dee really made this day special for us and all of her recommendations were spot on. Thank you!! We always enjoy our experience...be it anniversary, birthday, Christmas, etc. Food is good and the service is exceptional. We will keep returning and telling people of your restaurant. 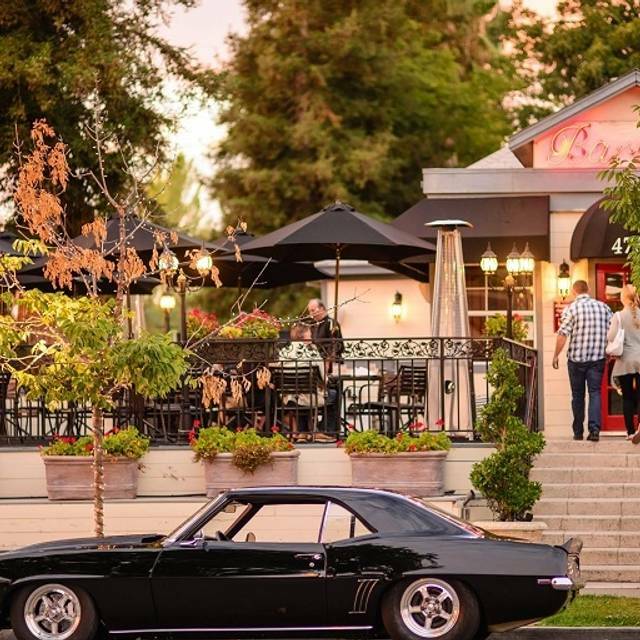 It's one of the best restaurants in the Tri-Valley area. Worth the visit for lunch in December and dinner any time. I would definitely go back again. Always an outstanding meal ! I had the special swordfish, my husband the ahi both meals excellent! Carlos, our server was fantastic as well as all the staff! Crab cake appetizer was over spiced, fibrous—one could not taste the crab—awful. The chairs out in the sunroom seating area were rickety and rocked and were inappropriate for more senior clients. The handicapped access was long, dark and full of grooves—DANGEROUS! The coffee was the worst restaurant coffee we’ve ever had—undrinkable. The place seems to be resting on its old laurels ascis Casa Orozco. This family needs to sell their businesses and stop selling substandard cuisine for the prices they charge. We will never return again and will discourage others from spending their hard-earned money at this establishment. Sorry. The food and service were both very good! Best gnocchi ever! Would definitely recommend Barone’s to my friends and family! Barone's is a special place to go during the Christmas holidays. 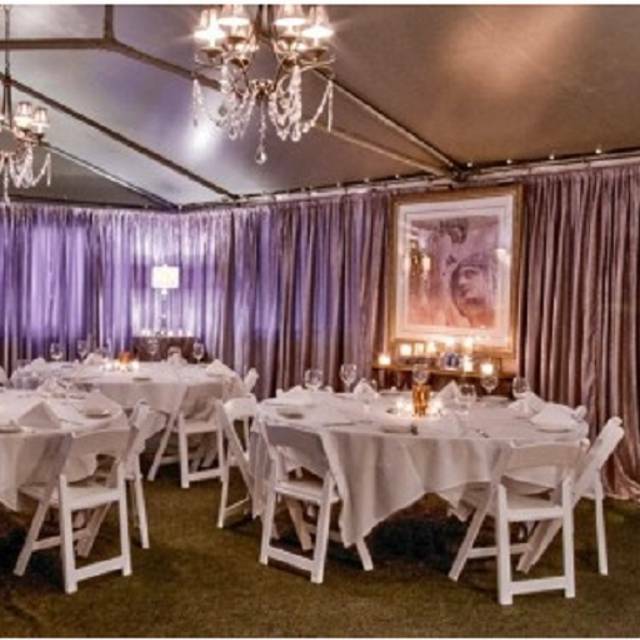 The food is excellent and the ambiance is beautiful during the holidays. It's a special place.